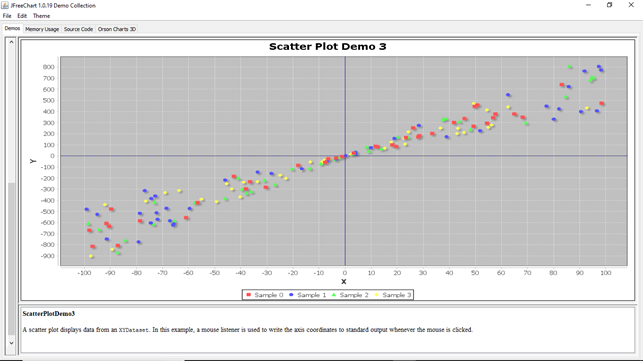 A scatter chart or plot contains a set of data points plotted on horizontal and vertical axes. 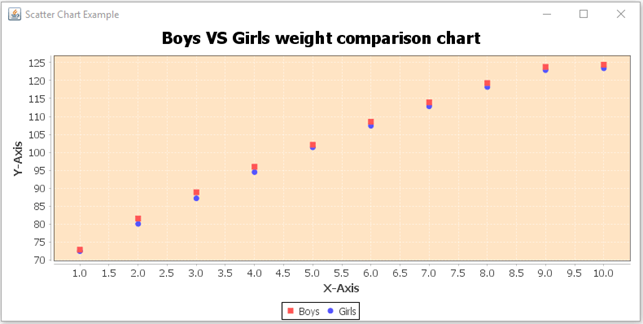 It displays data from a XYDataset. 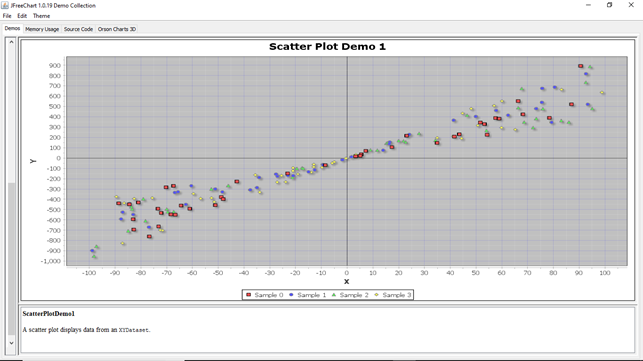 Let us consider the following sample data for a scatter plot.